Posted on 13, April 2016 by EuropaWire PR Editors | This entry was posted in Automotive, Germany, Management and tagged Dr. Stefan Loth, Jens Herrmann, Thomas Ulbrich. Bookmark the permalink. WOLFSBURG, 13-Apr-2016 — /EuropaWire/ — Dr. Stefan Loth, currently general manager of the FAW Volkswagen plant in Chengdu, China, has been named new plant manager and head of vehicle production in Wolfsburg effective June 1, 2016. He succeeds Jens Herrmann, who is taking retirement. Stefan Loth holds a PhD in mechanical engineering and began his career in 1997 at Ford. In 2006, he joined the Volkswagen Passenger Cars brand in Wolfsburg as head of the Volkswagen production system. Following further senior management posts at Volkswagen he was given responsibility for SEAT’s production plant in Martorell, Spain, in 2011, and was appointed general manager of the FAW Volkswagen plant in Chengdu in 2015. 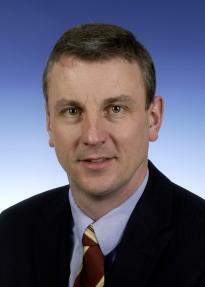 Jens Herrmann holds an engineering degree and joined Volkswagen in 1988. Following management posts at the Volkswagen Passenger Cars and SEAT brands, he assumed responsibility for vehicle assembly at the Volkswagen plant in Wolfsburg in 2006, becoming production manager at the Emden plant in 2008, and was subsequently appointed plant manager there in 2010. He became plant manager and head of vehicle production in Wolfsburg in 2014.